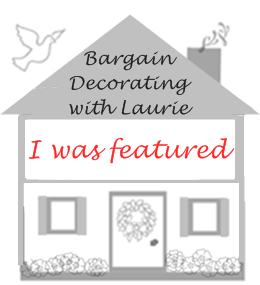 BARGAIN DECORATING WITH LAURIE: I'M A WINNER! Did you happen to see the fabulous giveaway at Rhondi's blog, Rose Colored Glasses? Well, yours truly won that fabulous give away!!! Of course, a bargain hunter knows you can't get a better bargain than "free", but not only was I getting somethin' for nothin', I was getting somethin' fabulous for nothin'! When I opened the box, the first thing I saw was this beautiful book. "Blessed are they who have the gift of making friends, for it is one of God's greatest gifts." I have met so many people in Blogville who have that gift. Isn't this one of the prettiest mugs you've ever seen? Just look at the lovely ivy covered teapot and tea cups. Almost too pretty to use. I was thinking of just putting it in the china cabinet to look pretty. I was thinking of doing that, until I found this in my box of treasures. Okay, I'll have to fill my mug with this wonderful tea, and sit down with my beautiful new book, and just enjoy my winnings! But wait, there's MORE! More, you ask? Yes, more! I am one lucky lady, and Rhondi is one generous lady! I LUV these napkin rings. I almost didn't want to show them to you, because I can't wait to do a tablescape and use these beauties and I wanted to impress you with what fabulous napkin rings I had! And isn't that a cute card she enclosed? See that great retro teapot on the card? Rhondi, what a generous and lovely give-away, and let me tell you, it couldn't have gone to a more appreciative person! I don't know where you got your Random Generator, but I love him! Thank you so much for my prize! If you don't already visit Rose Colored Glasses, be sure to go over there. You never know when Rhondi will have another fabulous give-away. Now I have to post something I'd really rather not post. 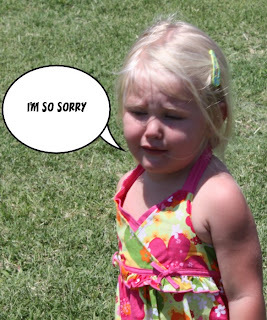 I have a big apology to make. Sweet Lorna at Lace and Ivy Cottage tagged me to do the lists of 8's. I think it involved listing about 40 items about me. 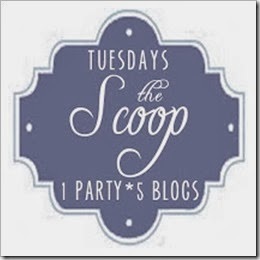 Lorna had posted some fabulous lists, and I was honored that she tagged me to participate. I had every intention of following through with the tag. Lorna, I apologize, but, as flattered as I am that you would ask me to give any more information about myself than I've already given on this blog, I'm declining to do it. I just can't think of that many interesting things to post about me. When I started making my lists, I wasn't even interested in what I was listing! Wow! I have a dull life! Everything I thought about putting on my list, I had already said in a previous post. Uh Oh! That may mean I have to give up blogging. I've already said everything I have to say! Lorna, please forgive me for not following through on this. 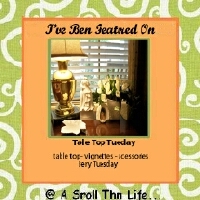 Those of you who haven't been to Lace and Ivy Cotttage, please go by and see Lorna's beautiful blog. You will be glad you did. Thank you Lorna, and I do hope you'll understand. 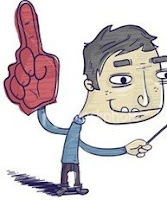 In a related matter, if I do come up with something else to say and therefore continue blogging, I am going to become an award free blog, because, as evidenced by the above note, I am not good at following the rules. You bloggers are just so wonderful about giving out awards and tags, and I am just not any good at that. I'm not comfortable receiving an award and then not passing it on, but I'm not comfortable selecting blogs to receive the awards either. I don't want a kind blogger who passed an award to me to feel badly because I didn't pass it on. You know that saying "the buck stops here"? Well, I'm afraid the awards, the memes, and the tags stop here on my blog, and I don't want to be the cause of that. Thank you so much to those who thought of me in the past when they were giving out awards. I really do appreciate it. Thank you for understanding that I will no longer be accepting awards. ON JUNE 19TH- MARTY AT A STROLL THRU LIFE IS HAVING A CLOCHE PARTY. GO READ ABOUT IT ON HER BLOG, AND GET YOUR CLOCHES READY! 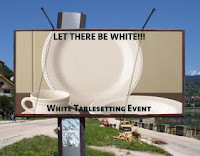 ON JUNE 21ST, KATHLEEN AT CUSINE KATHLEEN IS HAVING A WHITE TABLESETTING EVENT, SO GO VISIT KATHLEEN TO GET THE SCOOP, AND START WASHING THOSE WHITE DISHES! Just one more thing - I promise! You know, I always have some 'splainin' to do. For those of you who visited my family room post Monday and wondered why or how I had accumulated so much "stuff", I should have explained that on that post. I have been married 40 years this August, and yes, I've always been a collector. When my mother died, I inherited half of her "stuff", and when my mother-in-law died, my husband inherited 1/4 of her "stuff". Believe me when I say that I know there are people who get rid of "stuff" when they end up with so much, but it is just not something that I can do. (I've admitted on this blog several times that I know I need psychiatric counseling, but I can't afford it. I have to save all of my money to go to estate sales, garage sales, and flea markets to buy more "stuff".) The answer to those who wondered who dusts all of that "stuff" is, unfortunately, NOBODY! That's why there were no closeups of my "stuff"! When somebody left a comment about enlarging my already huge pictures, I did wonder if they saw nothing but dust on the enlargement. (If that is what you saw, I need to advise you that you are having computer problems-that is not dust on my "stuff" that you saw on your computer-nope no dust at my house!!) Maybe all of you already know this, but my secret for dusting is to keep the air conditioner and heater filters changed frequently-I'm serious! When I start seeing a lot of dust at my house, I know I've waited longer than I should have to start hounding my husband about changing the filters. 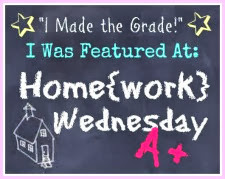 Of course I blogged yesterday! "Blog" was a word I didn't know. in the Land of Blog - it's my get away! Away from what, you might ask. Away from any unpleasant task! Away from cleaning toilets, tubs and more. Away from the drudgery and all of my woes! and have such lovely things to say. 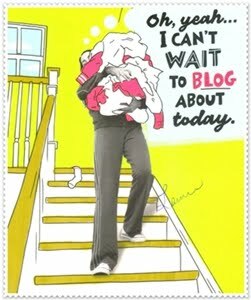 because I AM the blog-visiting queen! 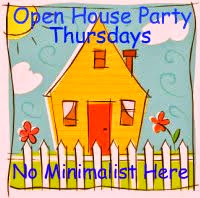 A sparkling clean house-it's not to be. and end up visiting more than a few. I might not have become a Blogland native. when I'm at my laptop - it's another land! Ohh, what a lovely box of goodies you won. I totally understand about the awards--having to choose who to give them to makes me feel I'm back in grade school waiting to be picked for the kickball team. Oh, you won Bev's giveaway. Congratulations. Your treasures are wonderful and that book is great. 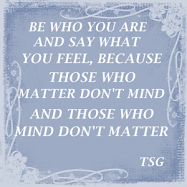 I love the quote that you shared. I love blogging and sometimes I feel over committed too. I used to say yes to so many things that I stopped posting what I wanted to post because each day was some blog party and I had a hard time selecting who to pass an award to. Now, I only join the blog parties I really want to join, and I just say thank you when someone passes me an award. 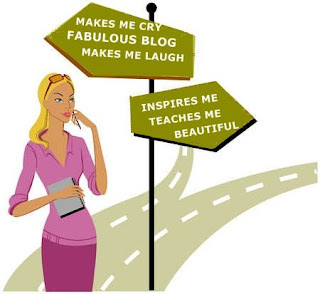 The joy you get out of blogging is having the freedom to post what you would like to post. Your blog is wondeful. Great blog wins! I always love winning beautiful books.. and all the rest... wow! 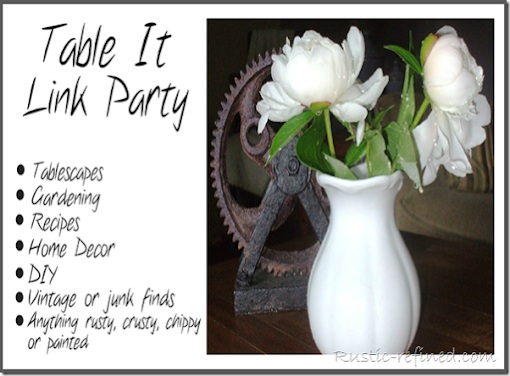 thanks for the links to the blog parties... I'll have to check them out! 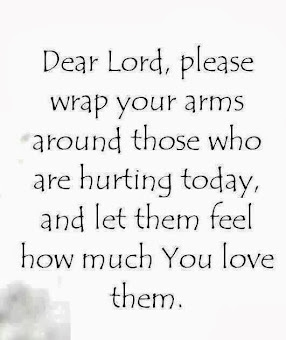 blessings... have a wonderful day up there in Arkansas! Laurie, you're too funny! I think I need a filter change-out myself! LOL! What yummy treasures you received! Enjoy them all. Laurie, what a lovely giveaway, you won!! I love those teapot napkin rings!! I posted a button on my sidebar, announcing the Back Porch an award/meme free, blog. My reasons are the same as yours. You lucky girl, winning Rhondi's giveaway goodies! I know they'll be great additions to your beautiful house. Enjoy! Laurie, you are a winner and a lovely prize you won! I like the award free zone, I've tired to adopt that more or less myself. I guess I should make it public knowledge. It gets so tricky and difficult with all that passing around business. How many kids are going to split up your "stuff someday? I hope they like "stuff", lol. 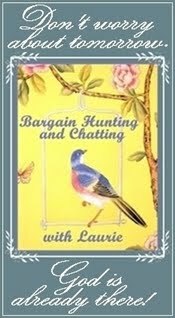 Hi Laurie, I love coming over here to see and hear what you have to say. I agree, the awards are wonderful, but when you are a newbie, it can take an afternoon to put it on there and most of all, time to find eight people. I always feel I am overlooking someone and that is why I will stop. I can't stand to hurt people's feelings by not including them. On to the poem ~ it's a riot. How true, too. As far as dusting, I have a ton of allergies, and dust stirs them up......does that justify letting it go ? enjoy the color and appreciate the time it takes for everyone to show it to all of us. So now it's dust or Hobby Lobby for me right now ~~ guess what will win ??? Great "stuff" you got in that give-away. Speaking of "stuff," it's no wonder you and Susie are such good friends. At least you apologized for not playing along with the tag. I'm afraid that I've been tagged twice recently, and not only did I not have time to play along, I failed to apologize to the blogger who tagged me. So if you tagged me, and you are reading this (big fat chance), I'm sorry. Congratulations on your award and winning such a lovely gift. It was so generous of her to giveaway all those lovelies. I am sure you are exaggerating Laurie...your home is lovely and you have lovely treasures. Thats quite a poem too and I know exactly what you write too...so true. How exciting for you to have won the giveaway. I love that book and all the goodies you got. I have to say, I am with you on the awards. I wish they all would stop. Not that we don't appreciate them, but I get embarassed to post them and then hate passing them on, because someone might not want them, or I might leave someone out. I totally understand what you are saying. Now about not finding things to talk about, I don't agree with you there. I think you have one of the best blogs around as far as talking and describing you or your home. I really enjoy reading everything you write. You are so interesting and I enjoy seeing all your treasures. Just read your sweet note that you left for me on my thrifty Thursday post...I'm so glad that you came by!!! Thanks so much for your sweet comments!!! Girl, what a blessing!!! Rhondi has great taste and she blessed you with so many wonderful gifts!!! I just love that book and you're right, the pictures are just beautiful! Ohhh...I love blueberries but must admit that I've never tried blueberry tea...it sounds scrumptious and I bet it will taste even better in that pretty ivy covered tea pot mug!!! Ahhh...I'm so happy for you Darlin'!!! I'm a little late getting around...I haven't even been to the computer for a couple of days. That estate sale just did me in Girlfriend! Say a prayer for me...okay? Sure do appreciate it!!! 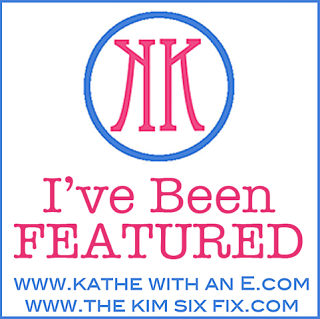 Wanted to tell you that I went through your fabulous family room post! Ohhh...all of your mosaics are gorgeous!!! I'm just now learning how to do those...they're lots of fun, aren't they! Well you know that your lovely family room is one of my favorites!!! Especially that sitting area in front of your wall to wall shelves...I just love that area!!! I certainly could curl up with a good book and cup of coffee there!!! I remember the first time that I seen this pretty room on RMS...I sure had fun making some late night visits!!! Hehe!!! You have a beautiful home, Laurie!!! I just realized that your prize was from Rhondi. She's such a sweetheart. I stole a pic (with permission) from her blog and painted it. I just love her house and her quilts. It was a very tough time having to decide whether or not to go shopping or lay by the pool. lol I was glad to come home though, maybe because I knew I was heading off for another trip this weekend. I'm going to Reno this time to have a little spa time with my SIL. Oh no, another long post! I'll try to make it interesting but Reno is not quite as exciting as Vegas. Laurie, all I know is you are a sweetheart of a blogger! Awards or not, you've earned them all for sure! Congratulations on the win, well deserved! What a fun post and there is a bit of humor in it that makes me smile. Well with a lot of people thinking of you, the saying you shared about friendship definitely is true! What a lucky lady you are! FUN!!! I hit the same wall one time when I had to make a list...asked hubby to describe me. Very interesting to see yourself through someone else's eyes. OH, MY, GOODNESS!!! I love your home pictures. I love stuff too and could spend all day looking at every detail. So true about the dust thing. Congratulations on winning the award. I really love those cute tea cup napkin rings. Did you write the poem....I really liked it. I am soooooo very happy you won the give-away. I love beautiful books and I love the pretty quote you shared. I loved...loved your entire post and your humor shined through. i really think you are probably a stand up comic but I do know you are a friend to every one. Thank you for the priceless prayers for Amy and her bff Leila. I LOVE all of your goodies! Isn't it great to get a surprise package in the mail? I love all of your "stuff" too....I grew up with all of that stuff around me, and it rubbed off on me too. Nothing wrong with it at all!! Your package contents are all wonderful...I loved the mug and the teapot napkin rings. Oh, Laurie! I just love you! You're a hoot and a half! Congrats on your gift - that mug is beautiful! I've just bought some blueberry tea to try out,but I don't have a beautiful mug like that to drink from. Hello Laurie, WOW your gift from Rhondi is just beautiful, Congratulations. I really love to read your posts it feels just like we are having a natter in the kitchen and your stuff and poetry are wonderful and so spot on regarding blogging lol, happy weekend, Kathy. Wow...what a wonderful surprise package you received! How is that blueberry tea in that ivy cup??? She certainly gave you some great elements to set yourself a special place with...now...go ahead and add your lunch to it...you'll be glad you did! Oh Laurie, no apology needed! 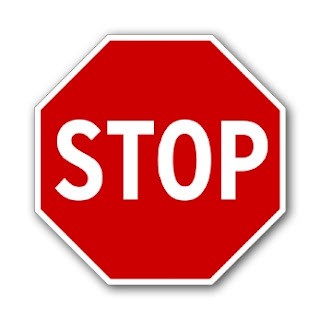 Just don't stop blogging! Congratulations on your win! And that is the prettiest mug I've ever seen! But the napkin rings, oh my! You know what a tea lover I am. I can't wait to see your tea themed tablescape! What a great treasure! Congratulations! laurie - You used every crayon in the box and I love the pictures you have colored. What a darling post you have written. Good job, lady. Thanks for all you share with all of us. Keep it up! ah, I hate it when posts are too short! Wow, what a jam-packed post! I love you dishes and place settings. Lucky you to win the napkin rings!...and that ivy mug!! !